Researchers urge proactive, positive programs to protect healthcare workers from burnout, trauma and abuse. 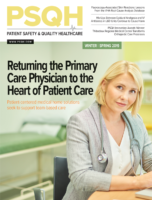 From the long hours to the pain and blame of medical errors to growing concerns over rates of workplace violence, healthcare professionals see demands unlike those faced by any other industry. It’s no wonder that healthcare workers face high rates of burnout and extreme levels of stress. How high? A 2015 Gallup survey found that a whopping four out of five healthcare workers were “struggling” or “suffering,” versus thriving. One challenge is that healthcare workers don’t often seek the help they need to keep working safely and productively. In fact, a study published in the November 2016 issue of General Hospital Psychiatry found that doctors are less likely to seek help for depression, anxiety, and other concerns than the patients they treat. This was attributed partially to stigma and partially to state requirements, which mandate physicians to report any mental diagnosis to their state medical licensing board. Such requirements, the study found, lead physicians to worry that seeking help for mental health issues could lead to restrictions on their medical license. The study’s lead researcher, Katherine Gold, MD, MSW, MS, of the University of Michigan Medical School, encourages medical schools, hospitals, physician groups, and medical professional societies to do more to help trainees and physicians understand that mental health symptoms can occur in anyone, especially in the medical field where expectations are so high. She encourages these groups to offer confidential, third-party, nonpunitive options for physicians and other providers to seek help when they experience symptoms. Celeste Johnson, DNP, APRN, PMH CNS, a member of the board of directors of the American Psychiatric Nurses Association and director of nursing, psychiatric services at Parkland at Green Oaks Hospital in Dallas, agrees that it’s important to get physicians, nurses, and organizations to understand that there’s no shame in mental health problems, and that it’s crucial to put programs in place that give healthcare workers the tools they need to cope with trauma. “Strategies that could support employees include reducing the stigma about mental health concerns, providing resilience training and care for the caregiver support programs, and providing health and wellness benefits, including policies that allow for time off for mental health concerns as well as for physical health concerns,” Johnson says. For its part, Parkland is working to overcome the silence around mental health problems through universal screening for suicide risk. Since February 2015, it has screened approximately 1.7 million encounters, including employees seen in the employee clinic. “Suicide screening has opened the conversation about mental health with patients and with employees,” Johnson says. While more systems are putting physician wellness programs in place, some groups are targeting the toughest problems with solutions aimed at helping medical professionals continue, or return, to work. Physician burnout is primarily a system issue—not an individual issue, wrote Drs. Tait Shanafelt and Stephen Swanson with Mayo Clinic in a February 2017 article in the American Journal of Medical Quality. It’s for this reason that more healthcare organizations are looking toward putting programs in place that give healthcare workers a place to turn when they are at their most vulnerable. But finding the right approach can be challenging. In its 2016 Physician Wellness Survey, Stanford Medicine’s WellMD Center found that despite its focus on improving physician well-being, the organization continues to experience a decline in the health of its physician workforce that mimics the national trend. The survey revealed an increase in reported physician burnout from 26% to 39% between 2013 and 2016. Creating a culture of wellness. Through leadership engagement, the group aims to develop a culture focused on support and appreciation for physicians, and to put their professional health first. Boosting efficiency of practice. By recognizing the importance of wellness and advocating for process improvements, the organization aims to improve the quality of care it can provide. Improving personal resilience. The center expects that programs and tools to promote self-compassion, improved sleep quality, and other self-care strategies can help physicians better cope with setbacks as they arise. Resilience is critical in helping caregivers “bounce back” from trauma. When people are resilient, they’re able to cope with their mistakes rather than dwell on them. Fortunately, research indicates that resilience is a learned behavior. HealthPartners, a large health system in Bloomington, Minnesota, offers two emotional resilience coaching programs to employees as part of its BeWeLL employee health and well-being program. Healthy Thinking© helps participants recognize and replace negative self-talk, while Healthy Communication© arms employees with effective communication skills. Program participants completed three one-hour sessions conducted by behavioral health professionals and received additional self-help as needed. Simple as it seems, these sessions had lasting impact. A case study published in the January/February 2016 Health & Fitness Journal found that improved well-being persisted at least one year later among employees who participated in the programs. The organization also has its behavioral health professionals reach out to people with high stress levels, difficulties with emotional health, or substance use concerns. By reaching out, they eliminate a common problem with caregiver support programs—that caregivers don’t always know how to find these resources. An increasing number of organizations are recognizing that healthcare workers find themselves most in need of support following a traumatic event. These organizations are developing “second victim” programs to provide care for the caregivers—programs specifically focused on helping healthcare workers recover from trauma. Since 2007, the University of Missouri Health System’s ForYOU program has encouraged healthcare workers to open up about their trauma, providing a much-needed outlet. The program helps team members identify second victim warning signs and work toward recovery. According to program co-founder Sue Scott, the program has also led to a culture of support within the system, as all team members—including those who have not undergone the eight-hour peer support training program—have gained awareness of the need to support one another. Johns Hopkins’ RISE, or Resilience in Stressful Events, program uses an emotional peer support structure. The multidisciplinary peer responder team is made up of volunteers, including physicians, nurse managers, social workers, pharmacists, risk management, patient safety, and administration. Peer responders learn how to talk to second victims and give them a safe harbor for exploring their emotions following a traumatic event. And Nationwide Children’s Hospital’s YOU Matter program is a three-tiered peer-based support system available to staff around the clock. The model provides on-demand intervention with immediate first aid through professional counseling, if necessary. Tier one includes local unit support, with one-on-one reassurance to the second victim. All team members receive education at staff meetings on how to identify second victim behavioral signs or symptoms, and what to say and not to say in working with a second victim. If additional help is needed, the victim turns to tier two support from trained peer supporters, the patient safety team, and risk management. Peer-trained supporters receive additional training where they hear second victim stories, learn strategies for managing documentation, explore legal concerns, and gain self-care tips geared toward supporters. Tier three is an expedited referral network to an employee assistance program, chaplain, social worker, or clinical psychologist. Program managers at Children’s have found that a second victim program benefits from having a central portal where information can be shared, as well as clearly defined roles and responsibilities for each team member. The value of these programs is evident in the numbers. At Children’s, more than 300 individual and 12 group encounter forms have been submitted since the program was launched in 2013. With a lack of support for self-care, many nurses turn to substance abuse as a way to cope with stress or fight fatigue. The American Nurses Association estimates one in 10 nurses today abuse drugs or alcohol. 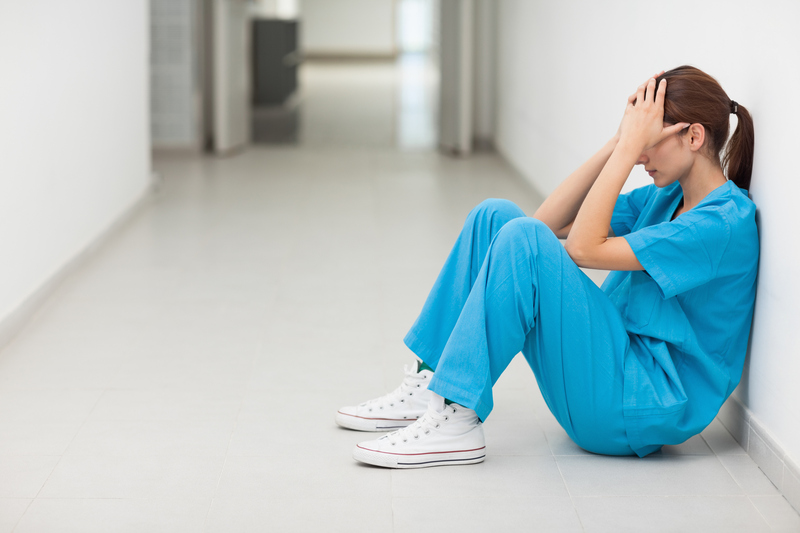 Many nurses do not report these issues for fear of disciplinary action or career repercussions, according to information from Advanced Recovery Systems, a behavioral health care management organization. But the Emergency Nurses Association (ENA) and the International Nurses Society on Addictions (INSA) argue that viewing these problems as a symptom of a disease, not solely as a crime, can help more nurses recover—and improve patient care. In a joint position statement on substance use among nurses and nursing students published in the April/June 2017 issue of the Journal of Addictions Nursing, ENA and INSA call for healthcare facilities and nursing schools to adopt alternative-to-discipline (ATD) approaches to treating nurses with substance use disorders. They argue that programs that aim for retention, rehabilitation, and re-entry of these professionals into practice have been shown to be effective in treating healthcare professionals and effective in identifying more nurses with substance use disorders than disciplinary programs. The result is improved safety for the patient. In ATD programs, the nurses refrain from practice for a set time while undergoing treatment and working through a recovery program. Such programs are generally administered by a third party through contractual agreements with a state board of nursing, the ENA/INSA statement notes. Following an assessment, the parties might agree to an initial return-to-work agreement with reduced hours, limited shifts, and restrictions in assignments (for example, no access to narcotics), with continued treatment and monitoring for periods of up to five years, and a gradual lifting of restrictions with demonstrated progress. Today, many state boards of nursing offer ATD programs for nurses with substance use or mental health disorders, but these programs vary widely, according to the statement’s authors. A consistent, supportive pathway could help more healthcare workers finally find the help they’ve been seeking. In Massachusetts, nurses have found support for an entirely different issue known to lead to mental health problems, including post-traumatic stress disorder, depression, and anxiety. Two healthcare organizations are looking beyond the workplace to fully support employee well-being. In May 2017, the registered nurses of Mercy Medical Center and Providence Behavioral Health Hospital, represented by the Massachusetts Nurses Association (MNA), announced a partnership with their employer to create a program empowering staff members to respond to and prevent employee domestic violence. In the fall of 2014, Andrea Fox, RN, an associate director in the MNA’s Division of Labor Action, and the MNA nurses at Mercy and Providence raised the issue of domestic violence during contract negotiations. The result was an agreement to form the joint Domestic Violence Task Force to develop domestic violence resources. The task force, made up of nurses and hospital administrators, developed safety policies and materials for all employees at Mercy and Providence who are affected by domestic violence. “The burden of this information becomes lighter when it’s shared, and this is the first step toward safety for the victim,” says Cady Spencer, RN, who serves on the detox unit at Providence Hospital and is a member of the task force. The key to each of these programs is providing proactive support to employees to prevent problems before they happen, or while a positive outcome is attainable. By creating opportunities to listen to healthcare workers, organizations can begin a culture shift that ultimately leads to a safer patient, and caregiver, environment.